Applications are invited for New Zealand International Doctoral Research Scholarships (NZIDRS). The NZIDRS are open for international students to undertake PhD study at a New Zealand university. The scholarship aims to attract and retain the best international researchers to New Zealand. The New Zealand International Doctoral Research Scholarship (NZIDRS) is a Government funded scholarship, administered by Education New Zealand. Applicants must hold a minimum grade equivalent to a GPA of 3.7 on a 4.0 scale OR an A to A+ average in your most recent or highest post graduate tertiary qualification. As a general rule, for those wishing to complete a postgraduate qualification an overall IELTS score of 6.5 and no band less than 6.0 is the minimum required. 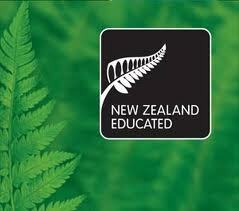 Course Level: Scholarships are available to undertake Ph.D. study at a New Zealand university. Study Subject(s): Applications are welcomed from eligible candidates undertaking relevant research in any discipline. Number of Awards: Eight scholarships are available. Eligibility: The NZIDRS is a prestigious, highly competitive scholarship. It is awarded based on academic excellence and the benefit of the candidate’s proposed research to New Zealand. In order to apply for the NZIDRS applicants must meet all five eligibility criteria. These criteria are non-negotiable. Applicants must not hold citizenship or PR status in New Zealand or Australia. Entrance Requirement: Applicants must hold a minimum grade equivalent to a GPA of 3.7 on a 4.0 scale OR an A to A+ average in your most recent or highest post graduate tertiary qualification. English Language Requirements: As a general rule, for those wishing to complete a postgraduate qualification an overall IELTS score of 6.5 and no band less than 6.0 is the minimum required. Application Deadline: The application deadline is August 30, 2017.